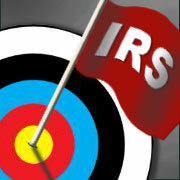 What triggers an IRS tax audit? While the IRS isn’t about to publish a list, there are a number of items that are known to raise the IRS’s interest in a return. What are your chances of being audited? For individuals, it depends on your income. In fiscal year 2013, returns reporting income of under $200,000 stood a 0.88 percent chance of an audit. Those with incomes of $200,000 and more had a 3.26 percent chance. And if your income was $1 million or more, you had a 10.85 percent chance. While audit rates were generally down in 2013 from the previous couple of years, they’re still much higher than in earlier years. In addition to income, it’s the entries on your return that are likely to flag it. What items are likely to trigger a letter from the IRS? Here’s a list of items some tax preparers believe trigger an audit. Some items only apply to individuals or individuals who file a Schedule C, while others apply to both individuals and businesses. In some cases, items are likely to only generate a letter from the IRS requesting documentation for the item. Outsized charitable contributions. The IRS publishes data on the average size of charitable contributions for various income levels. If you take a deduction for an amount that is materially larger than the averages, you could get a letter. Large property contributions. Significant charitable contributions of property require an appraisal and certain return attachments. Appraisals are often challenged by the IRS. Unmatched alimony. If you take a deduction for $24,000 of alimony, your ex-spouse should be reporting $24,000 of income. High mortgage interest. The maximum amount of qualified home indebtedness is $1.1 million (including home equity loan). A mortgage interest deduction that’s in excess of a certain percentage of the debt limit could indicate an excessive deduction. Unreported income. Failure to report gambling winnings, interest and dividends, non-employee compensation (1099-MISC), K-1 items, etc. may just trigger a letter and bill from the IRS — or it could generate an audit. Gambling losses. You’re allowed to deduct losses on Schedule A up to the amount of your winnings. But the IRS knows that many taxpayers don’t keep the required records. Miscellaneous itemized deductions. Breaking the 2 percent of adjusted gross income threshold is difficult, so large miscellaneous itemized deductions may perk the interest of the IRS. Foreign bank accounts. Checking the box indicating that you have a foreign bank account on Schedule B could increase your chances of an audit. But not checking the box, when you should, could too. The IRS continues to get information on many foreign bank accounts. Unreimbursed employee business expenses. These expenses may be deductible, but substantial amounts are likely to raise questions because they are frequently reimbursed by an employer. If the expenses involve travel and entertainment or auto usage, your chances of hearing from the IRS may increase further. Cash transactions. Banks and merchants are required to report cash transactions in excess of $10,000. If you have a business, the IRS may want to know where you got cash. Rental losses of a real estate professional. A qualifying individual can deduct rental losses in excess of the usual $25,000 limit. Meeting the required time involved in real estate activities and substantiating it isn’t easy. Checking the box on Schedule E could increase your audit chances. Casualty losses. This can be a complicated area where appraisals and other outside information may be required. Bad debt losses. Again, this is often a complex area. Many taxpayers lose on this issue because they can’t show a bona fide debt existed or that a loss occurred in an earlier or later year. Home office. If you use a portion of your home exclusively for your business, you can deduct the expenses and depreciation associated with the space. But you’ve got to show the business connection and that the space was used exclusively for business. Both can be challenged by the IRS. The tax agency can also question the expenses involved in a home office. There’s plenty of opportunity for an IRS auditor to make adjustments. In general, the higher the percentage of the home claimed for business, the greater your audit chances. Day-trading losses. Claiming to be a day trader and taking losses on Schedule C is a red flag. Net operating loss. If your business (sole proprietorship, S corporation, partnership) has losses you may have an NOL (net operating loss) that can be carried back or forward to offset income in other years. You may be asked to substantiate the loss if you claim a refund for an earlier year or on a later return where the NOL is used. Rental losses. These could be challenged if there’s no revenue from the property. Hobby losses. Multi-year losses on Schedule C (or a pass-through entity such as an S corporation) may be scrutinized, particularly if the business is listed as one that has elements of personal pleasure such as horse breeding, photography or auto racing. Your audit chances increase if the losses offset substantial other income on the return. If you file a business return such as a Schedule C, S corporation or LLC, there are other triggers. Some of them also apply to rental properties. Travel and entertainment. Because of the recordkeeping requirements, and the fact that some deductions can be questionable, this is always a ripe area for the IRS. Auto usage. Again, the IRS is well aware that many taxpayers fail to keep the required records, making it a fruitful area for an IRS adjustment during an audit. Repairs and maintenance. What property owners believe is a repair and what the tax law considers a repair is often different. The IRS may require you to capitalize and depreciate expenses that you deducted. Zero officer salaries for an S corporation. If an S corporation is active, showing no salary for officers is a red flag. What should you do? It doesn’t make sense to not take a deduction you’re entitled to, such as for a home office. Just make sure you’re entitled to the deduction and have the required records and tax law justification to back it up. For example, if you’re not sure if the part business/part personal trip is deductible, give your WFY tax adviser the facts and get a professional opinion. In terms of an IRS audit, larger businesses may have to undergo detailed examinations involving many issues, but for individual taxpayers and Schedule C filers, audits may be limited to selected items — unless those items indicate problems. For additional information consult a WFY tax advisor at info@cpa-wfy.com. Many people raising money on the Internet view their endeavors as non-taxable hobbies. This could eventually result in an IRS audit. If you are involved in crowdfunding, seek the guidance of your tax adviser to ensure your fundraising activities are properly reported on your tax return. If the word “audit” makes you panic, you’ll be glad to know that not all IRS examinations are created equal. Some are generally just a matter of the IRS asking for more information by mail. The IRS continues to ramp up its efforts to close the “tax gap,” estimated at more than $300 billion. In order to help make the IRS more efficient, a growing number of audits of individual taxpayers are being handled expeditiously. According to IRS statistics, audits that are conducted by mail, called “correspondence examinations,” have increased substantially in recent years. IRS officials note that deductions for issues such as employee business expenses and charitable donations frequently arise and can be handled efficiently with correspondence audits. A correspondence audit is usually the least stressful type of audit for taxpayers. Since the process is generally handled through the mail, taxpayers don’t have to meet face-to-face with IRS auditors. Typically, a correspondence audit is limited to one or two items on a return. These matters may be quickly resolved by mailing the IRS copies of receipts, checks or other records requested. Taxpayers who are tapped for correspondence audits are initially contacted via letter. This contact letter will also specify the documents taxpayers need to provide. The letter gives taxpayers at least 30 days to respond before the IRS adjusts the contested tax liability in its favor. But this doesn’t mean you have to concede the contested issues. In fact, an audit might even result in a tax refund instead of having to pay more tax. If you receive an IRS letter, contact your tax adviser as soon as possible.